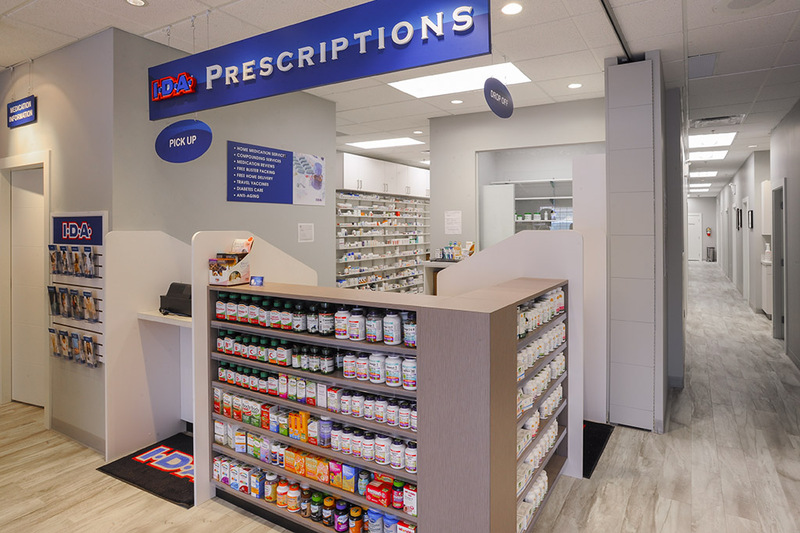 Clinic Design Tips - Retail Design & Construction | Southern Projects Inc.
Today’s best designed clinics are those cater to the needs of both patients and staff. They are welcoming healthcare spaces that are functional, modern and visually appealing. And with a growing trend toward remote medical services, comfort and aesthetics are becoming even more important. When it comes to treatment options, patients have more choices than ever. Attracting new and walk-in clients has become a top concern for many medical professionals, and getting expert help to design your clinic space just makes good business sense. Did you know that how patients perceive waiting areas impacts how they feel about the quality of their medical services? Patients spend twenty minutes on average waiting and most see this time as wasted or unproductive. Taking a pro-active approach to clinic design can change this perception. Furnish waiting areas with clean comfortable seats that are well spaced to increase privacy and protect patient health. Ensure that lighting is sufficient for reading or technology use, and provide table surfaces for resting items. You may even consider furnishing a few work stations. Many patients consider TV screens distracting and prefer a quiet environment. If your clinic space is small, make of natural light or exterior views whenever possible. Finally, opt for tasteful furnishings such as local original art and select fresh coordinated colour schemes. Also keep in mind temperature and noise levels generated from equipment or air conditioning. Medical clinics experience a constant flow of traffic. To minimize disruption for patients and staff, create sectioned off entrances that are wheelchair accessible with easy access to reception areas. Ideally, visitors should not be required to pass through waiting areas when arriving or leaving. It’s also important to build your clinic with sufficient hallway space to accommodate the movement of mobile medical machinery. Partner with an experienced clinic designer who can help you optimize your space for functionality, comfort and safety. What are your long term goals for your clinic? When you are planning your clinic, take a strategic business approach. Consider whether your medical or dental services will change over time. Purchasing new equipment, hiring more staff, or accepting more patients will require more space. Importantly, avoid having to renovate down the road by building some flexibility into your plan. Consider less permanent fixtures such as moveable wall partitions to allow easy adjustments in room space. Built-in or free standing custom shelving for waiting room areas and medical stations will save space and give your clinic a stylish coordinated look. Millwork items such reception desks, storage bins, countertops and partitions can easily be custom fit to your clinic space. Use shelving to separate public and staff areas of your clinic and better organize reading materials or medical forms. You can also select from a range of millwork surfaces to meet your exact needs for cleaning and durability.